The magic of Harry Potter is something that is so striking. We can all remember the iconic spells that Harry and his friends would cast throughout the saga. 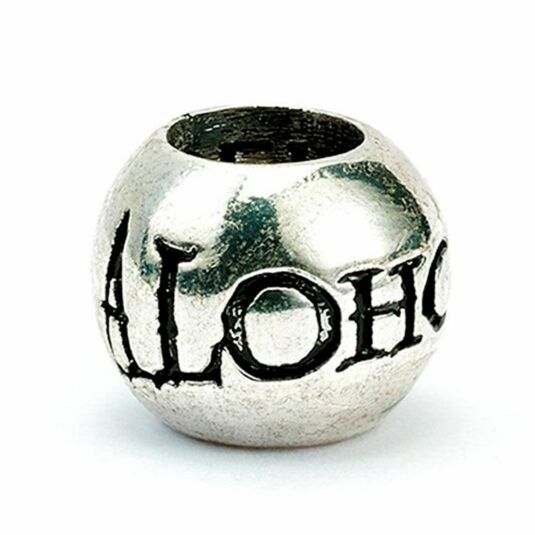 Celebrate these spells with these beautiful and shining charm beads. 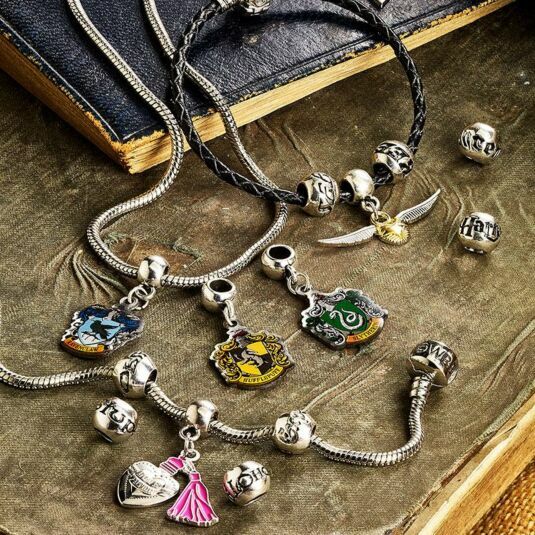 These charm beads slide straight onto your charm bracelet or necklace, and you can decide in what order and where they go. The charms themselves are lovely. 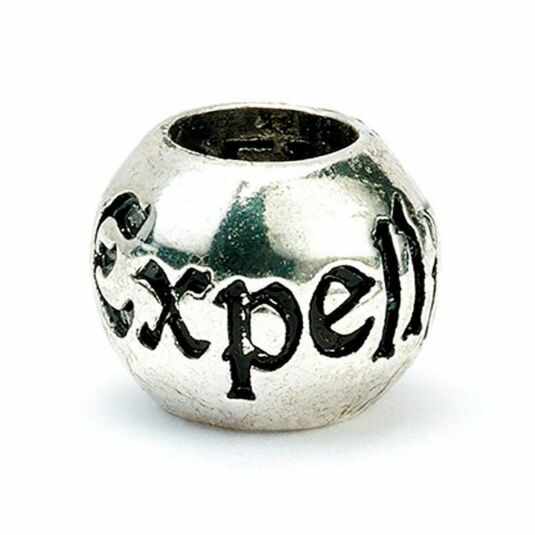 Each of the silver plated charms has a spell embroidered onto them. Expelliarmus, Stupefy, Alohomora, and Obliviate are the spells that are present. They are written in a beautifully elegant font and reflect light beautifully. 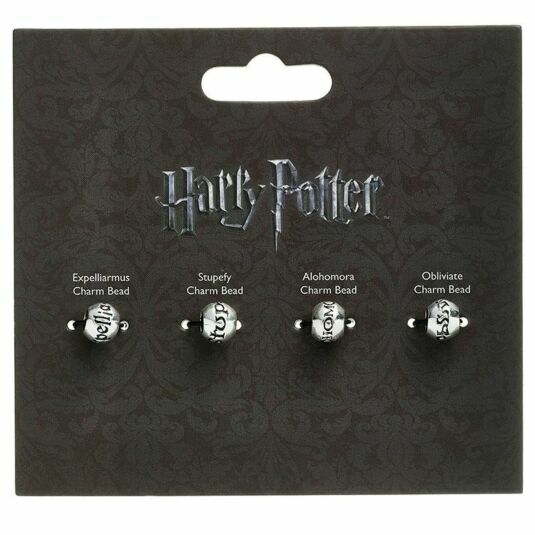 It is impossible to gaze upon these charms and not be taken away to the epic fights Harry and his friends had with various dark wizards. 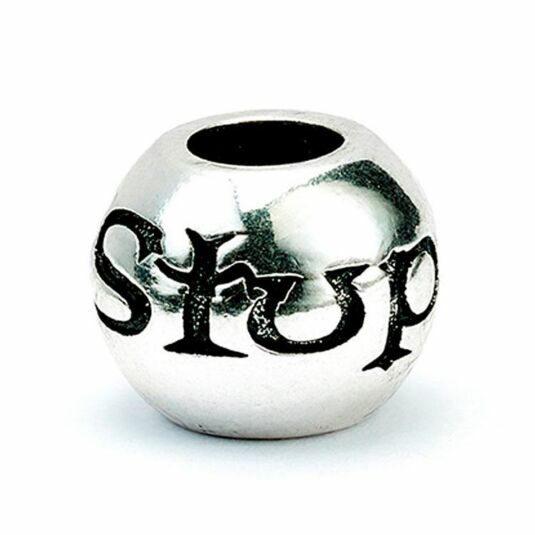 These are really striking charms and will undoubtedly take pride of place in your collection. 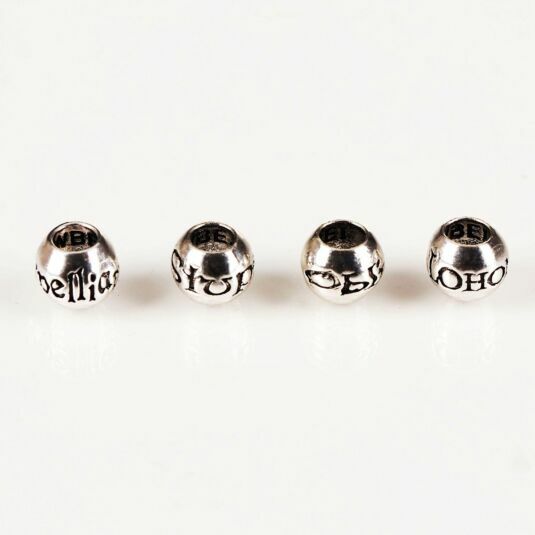 These beautiful charms are the perfect addition to any charm bracelet or necklace; they can slide onto the black leather bracelet, silver charm bracelet, or silver charm necklace. You are given complete control over which charms you want on your jewellery, the choice is up to you! Collect them all and be the envy of your friends! Bracelet and necklace sold separately. This item comes with official Harry Potter branded packaging. 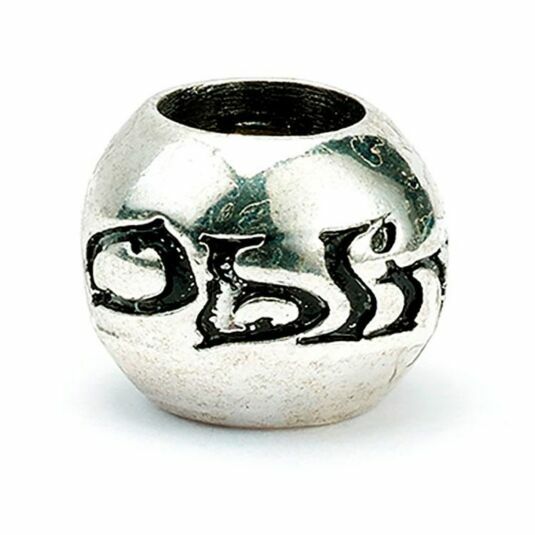 Each charm is approximately 1cm in diameter.